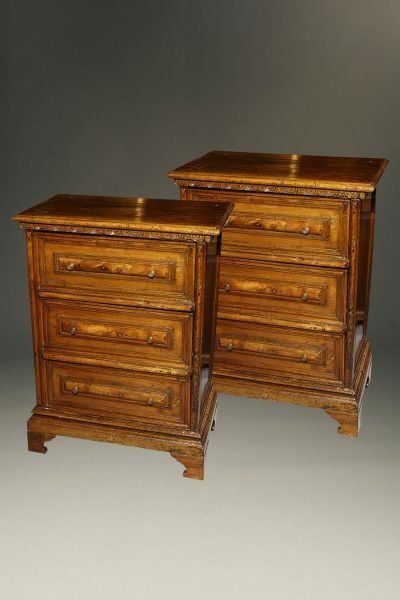 Antique pair of George III style Italian commodes in walnut.Antique pair of George III style Italian commodes in walnut. Pair of Italian walnut tall commodes. 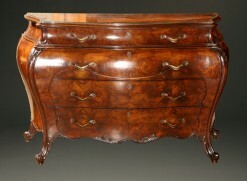 Very nice late 19th century pair of Italian walnut commodes/chests. 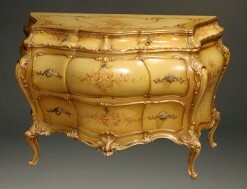 Louis XV style Italian bombe commode with inset glass top. 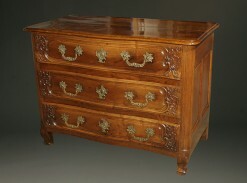 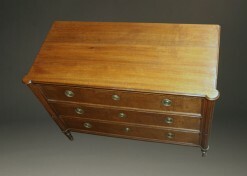 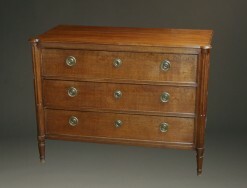 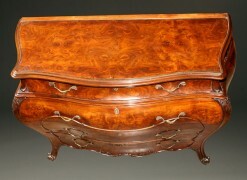 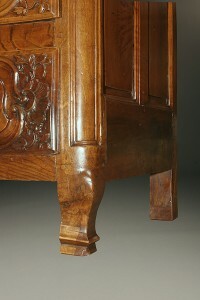 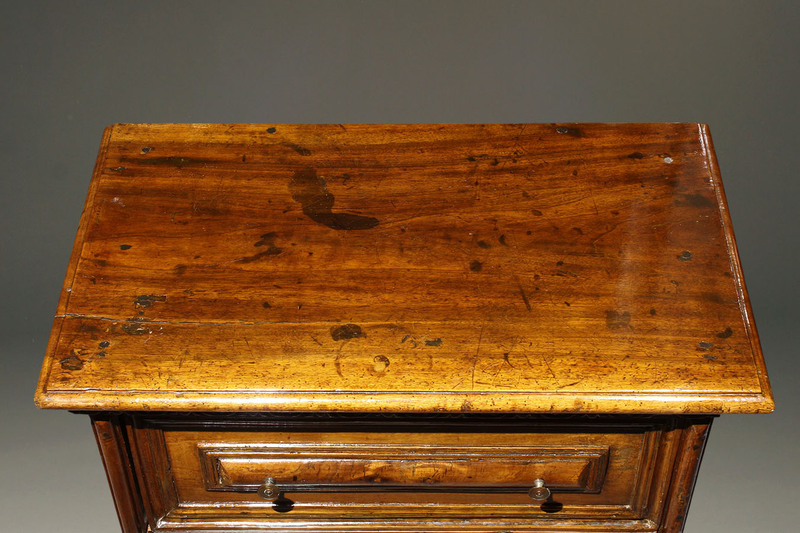 18th century Louis XVI period oak commode. 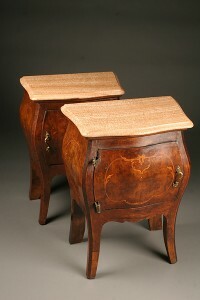 Pair of burl walnut commodes. 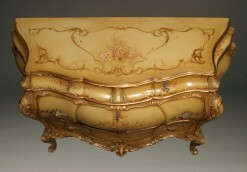 Italian bombe commode with polychrome finish. 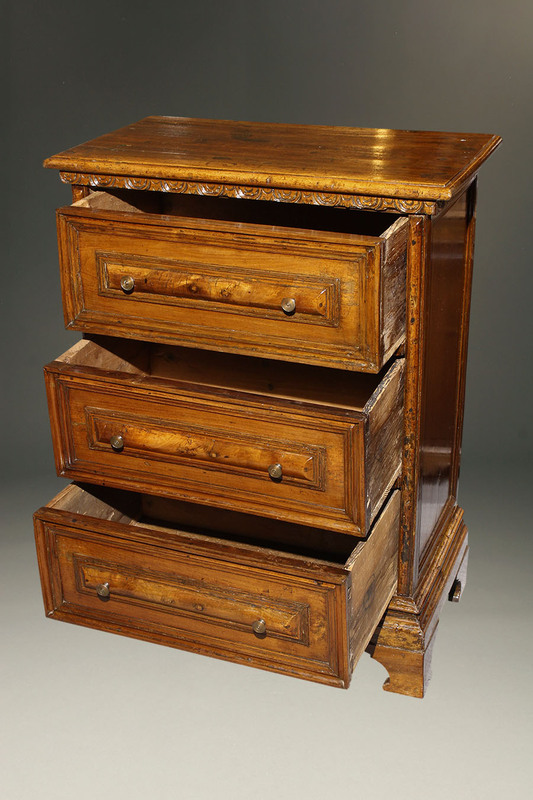 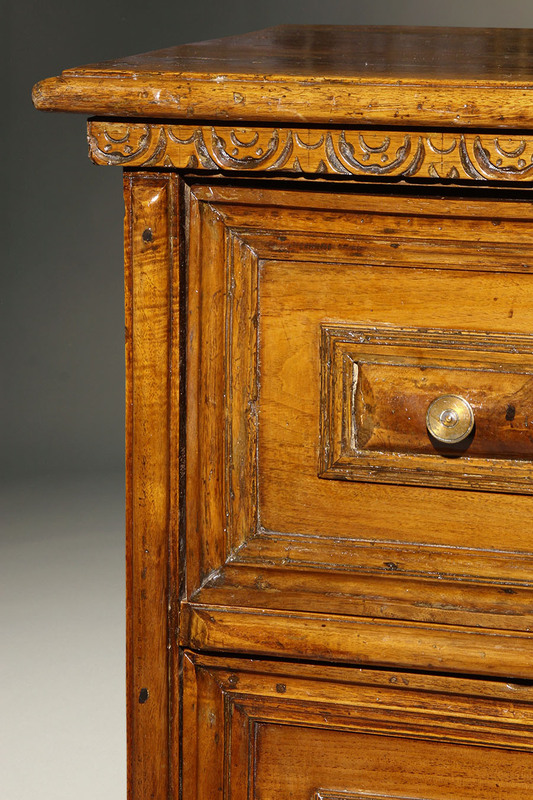 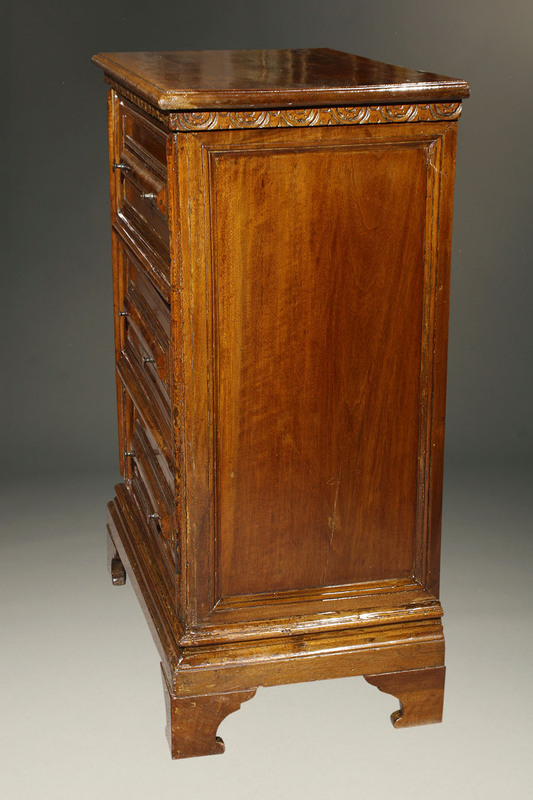 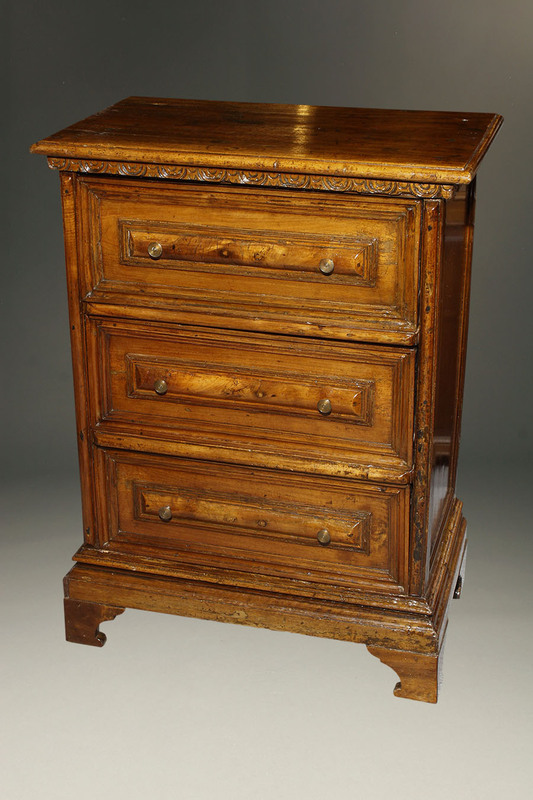 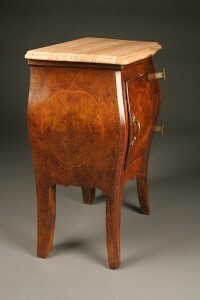 18th century Lyonnaise French commode from Regence period.